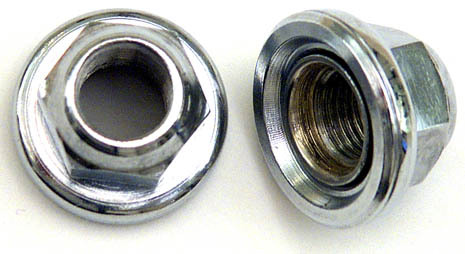 Nimble's CROSSWIND rear track hub uses these steel 10 x 1 mm nuts available separately. Nut and attached washer turn independently. Also see CROSSWIND front and rear hubs and pricing.